Don’t miss out! 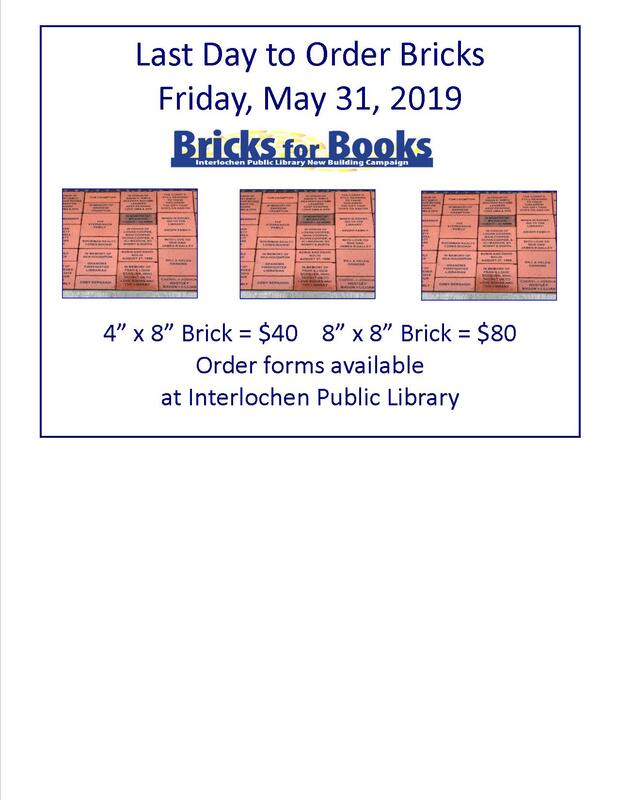 The last day to order Bricks for Books is Friday, May 31, 2019. Order forms are available at Interlochen Public Library. You can choose from two sizes 4” x 8” Brick = $40 or 8” x 8” Brick = $80. Each brick will become a part of the permanent pathway in the library’s landscape. Thank you for your support!